What does a trader do? It might seem obvious, but in recent years the role of the sell-side trader has changed beyond all recognition. 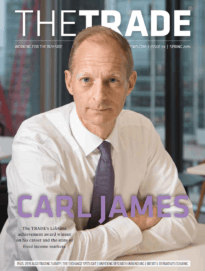 The new role of the sell-side trader, his raison d’etre, is the subject of consultant Celent’s latest report, and highlights how economic and technological developments have radically transformed the role and responsibilities of the modern trader. Economic concerns are a key factor driving this change, with the high cost of running a traditional sales desk, and sell-side firms are increasing their use of technology in order to cut back on manpower. The report calls for sell-side employers to look at a new breed of trader that can handle the multi-faceted role that the modern working environment demands. Celent said the sell-side now requires an individual who is far more quantitative and technology oriented than traders of the past, but also suggests they can’t simply be a maths geek, they also need to have the ability to build strong client relationships and be able to anticipate their requirements and needs. Hiring the right kind of individuals is just part of the solution. Celent advises that firms should make a choice between automation and traditional trading in order to focus their offering. Looking at the market today, hybrid offerings seem to make up the bulk of what the sell-side is promoting and, for some, this might be an appropriate strategy. 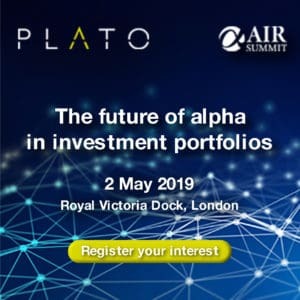 The big investment banks have the resource, skills and technology to adequately provide both traditional high-touch trading alongside a sophisticated suite of technology and automated trading tools. But for the smaller broker, it would seem there is a lot of sense in focusing their offering, becoming experts in their field rather try to compete with the bulge bracket in being a jack-of-all-trades. I’m reminded of The TRADE’s recent interview with Neonet’s Tim Waldenberg. He recently joined the Swedish agency brokerage from Citi and his strategy is to take a more niche and technology focused approach. In this way, he hopes to compete with the bulge bracket for buy-side business by providing the kind of expertise and highly focused service that is difficult for investment banks to provide, and strategies like this may well define sell-side competition and its offerings to the buy-side in the near future.